Foxing is back with their new album, Dealer, two years after the re-release of their popular 2014 album The Albatross. After gaining a lot of traction with The Albatross, an album of emotionally driven punk sounds inspired by lost love, youth and innocence, it was clear fans had big expectations for the new album. With the arrival of Dealer these same themes of youth, failed relationships and existentialism remain but a new sense of acceptance emerges within the new album. The calmer sounds of Dealer may catch fans off guard upon first listen, but a familiarity in the sound remains within the tracks. Despite the band’s evolving sound, the music is still distinctly Foxing. “The Magdalene,” the opening track on Dealer, reveals the raw emotions behind the making of the album. Songwriters Conor Murphy and Josh Coll have pulled from personal experience and presented a song that explores how their respective upbringings have shaped their present lives. 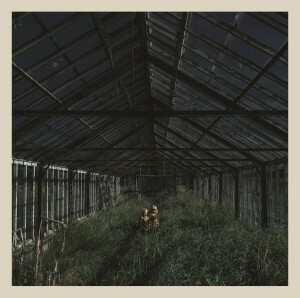 It is clear that Foxing did not hold back emotionally when writing each track. Take the song “Weave” for example, a track that discusses being stuck in the same place in life for so long. In interviews about Dealer, bassist Josh Coll described “Weave” as a response to their 2014 album The Albatross and a motion for the band to move past their old work. “Weave” marks a new stage for Foxing — a stage of poetic lyrics mixed with candour and a much softer sound musically. This is such an accessible and satisfying album whether you’re listening intently or simply playing Dealer in the background as study music. The simplicity in their lyrics is often relatable, yet retains a sense of poetic eloquence for an indie band with major punk and emo influence. Meanwhile, the soft intros coupled with heavier choruses, bridges and endings make for great background music while studying. The indie band fuses their math–rock style guitar riffs and drum patterns with a progressive rock sound to present an eerie and existential experience for the listener. While they have maintained their emo roots, there is definitely a post-rock vibe reminiscent of groups such as Sigur Ros or Múm. The sentiment behind this album and Foxing’s music in general, which speaks to the vanity of life and the fleetingness of youth, seems fitting for this time of year. Fall is coming to an end, and midterms and assignments are looming over our heads. However despite the somewhat pessimistic notions, there is an accessibility and relatable aspect to Dealer that gives the listener a sense of security and rest; despite all the struggles that happens in life, there’s still beauty in simple things. All in all Dealer by Foxing is highly recommended, and if you haven’t listened to their first album The Albatross, do yourself a favour and pick up both for this fall season.